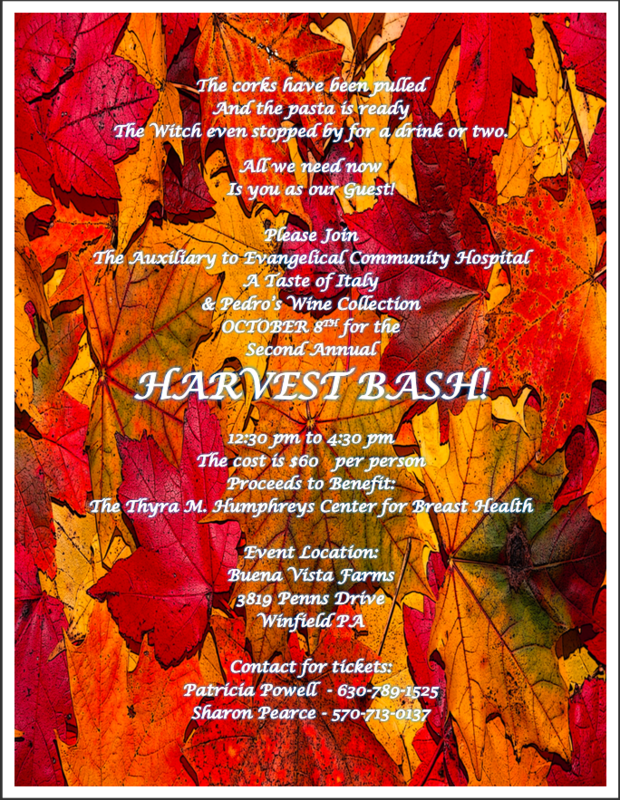 Join The Auxiliary to Evangelical Community Hospital, A Taste of Italy and Pedro’s Wine Collection for the Second Annual Harvest Bash! The Harvest Bash is on October 8th 12:30 pm to 4:30 pm at Buena Vista Farms. Contact Patricia Powell 630-789-1525 or Sharon Pearce 570-713-0137 for tickets $60 per person. Proceeds to benefit the Thyra M. Humphreys Center for Breast Health.